When Shaban Senyange arrived in Madison, Wisconsin for the Mandela Washington Fellowship for Young African Leaders, he knew he wanted to do more than sit in a classroom. He wanted to engage with the broader Madison community on issues he cared about. “It’s no secret – I’m very passionate about conservation and environmental issues,” the travel journalist and host of the Ugandan TV show ECOZONE said. When Senyange heard that the Fellows at UW-Madison would be volunteering with community partner organizations weekly, he began researching which organization would be the best fit. He settled on the UW-Madison Arboretum, a local site for ecological restoration and community education. “Back at home, we don’t have any institutions that do [environmental] awareness work in schools and also work on the ground,” Senyange said. Senyange is one of 25 Mandela Washington Fellows at UW-Madison participating in the six-week public management institute. Fellows visit community partner organizations weekly to serve and engage with community members. Aleia McCord, associate director of the African Studies Program, said one of the goals of these community partnerships is to showcase how organizations in Madison address community issues. Fellows are tackling a wide range of issues with this year’s community partner organizations. 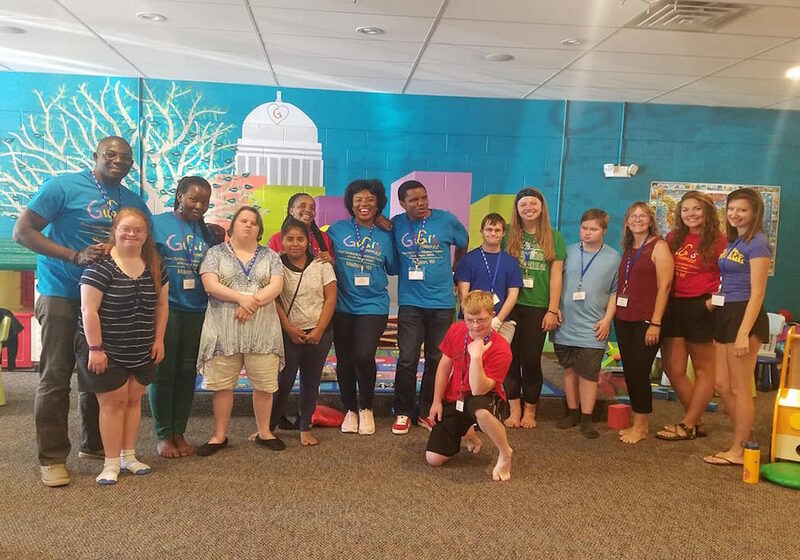 At Gigi’s Playhouse, Fellows and teens with Down syndrome engage in purposeful play to facilitate the development of social skills. Meanwhile at the UW-Madison Arboretum, Fellows participate in ecological restoration projects. Senyange says that one of the major takeaways from volunteering at the Arboretum is the clarity of the organization’s mission. “There’s a very clear structure of what the organization wants to do and how they want to navigate the systems in place,” said Senyange. The Fellows are not the only ones learning from community partnerships, however. The community organizations themselves benefit from the wealth of experience brought by the Fellows from their respective countries and occupations. In total, Fellows will complete 425 hours of community service over the course of the six-week Fellowship. Of those 425 hours, many are spent engaging with community members themselves. 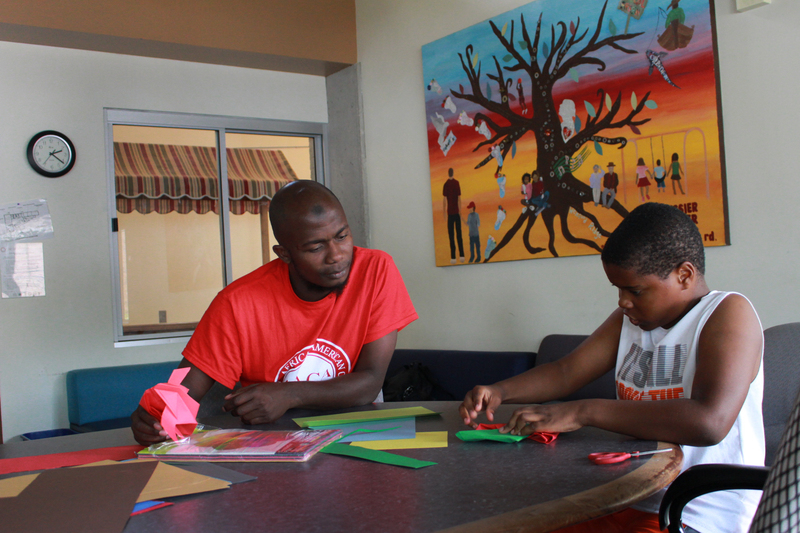 On Wednesday at the Lussier Community Education Center, Comoran Fellow Iliassa Ayouba taught summer school students how to make origami, while Guinea Bissauan Fellow Amadú Djamanca joined in a game of volleyball. Special thanks to our 2018 community partners, The Bubbler at Madison Public Library, Gigi’s Playhouse, Goodman Community Center, Lussier Community Education Center and the UW-Madison Arboretum. This story first appeared on the African Studies website.